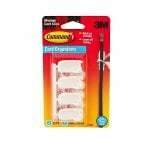 Mounting large cords, holiday lights, speaker wires and computer cords on walls, ceilings or floors. 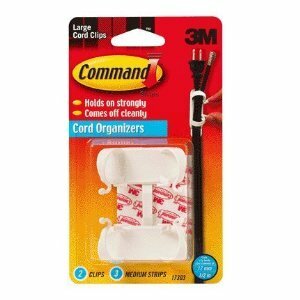 The 3M Command Cord Clips helps you to reduce putting unnecessary holes in your walls with nails and screws. Also known as part number 17303, you can easily mount these 3M Command Cord Clips to nearly any surface without tools and without damaging your wall, ceiling, or floors. 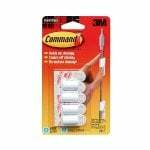 These 3M Command Adhesive Hooks use a Command Adhesive that sticks strong enough to secure your cord(s) while removing cleanly and not scuffing up your wall, floor, or ceiling.